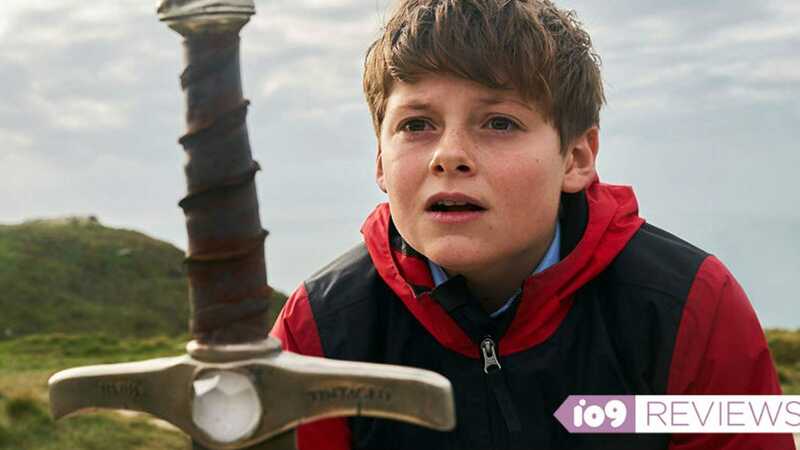 STARRING: Louis AshbourneSerkis as Alex, Dean Chaumoo as Bedders, Tom Taylor as Lance, RhiannaDorris as Kaye, Angus Imrie as Young Merlin, with Rebecca Ferguson as Morgana and Patrick Stewart as Adult Merlin. In Cornwall, there were two young schoolboys, Alex Elliot and his friend Bedderswho had to contend everyday with bullies like Lance and his partner in crime Kaye. On a fateful day,young Alex came across a sword stuck in a stone when he fell into a pit. He did all he could to pull the sword out, and amazingly, he had with him the legendary Excalibur. Not long after, the highly fabled wizard Merlin appeared to Alex in the image of an awkward nerd to foretell the evil schemes of the much dreaded sorceress Morgana. She had been revived and was bent on taking over the whole world with her army of undead soldiers. 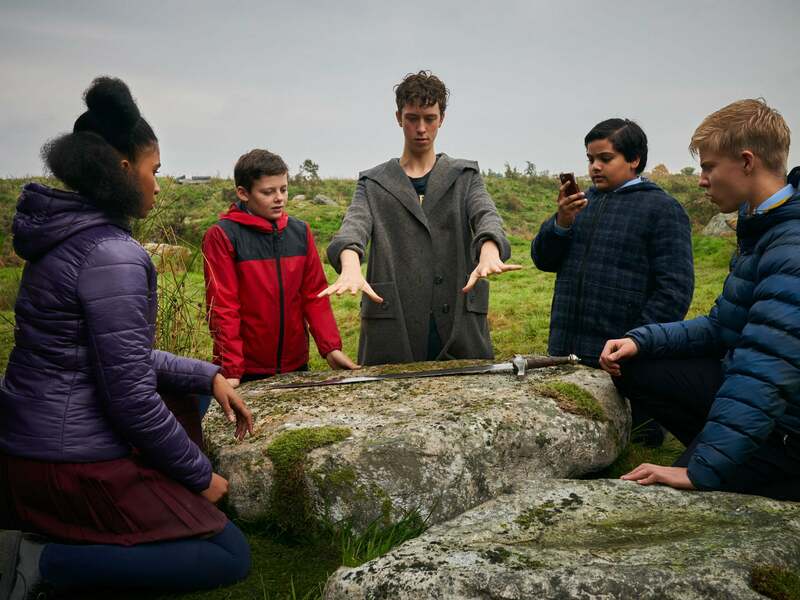 The task to save the world from this evil sorceress was in the hands of Alex (the one destined to be the new Arthur) and his schoolmates (his own Knights of the Round Table). If there is anything that grabbed our attention, it was the story style which played with the current travails of Britain; Morgana’s assault somewhat look orchestrated from inspired by Brexit. While our interest might have been caught in the intrigues, Theresa May (British Prime Minister) would not find it amusing, considering the circumstances around the Brexit deal. The special effects used in the movie were absolutely phenomenal; although younger kids would struggle to cope with the scaring Morgana effects used in the movie. One would have imagined that the movie would be children friendly considering the cast and the featured image on the movie’s poster; some parents would not have been happy with the all-too scary Morgana. Also, important messages were passed across in the movie as lessons on teamwork, loyalty, perseverance and courage were greatly emphasized on. Children would have a great deal to learn from the movie as they watch what oneness could bring about. In a modern society like ours, positive virtues like the aforementioned are to be greatly encouraged. Finally, what would greatly inspire children who watch this movie is the sword training and fight sequences. It would be thrilling to see children of their age grade do what older knights do and parents would also revel in how the Arthurian code preaches telling the truth and honouring others. Even if it might not look realistic, the act of turning rivals into allies through show of empathy and kindness is an endearing virtue anyone would want. The movie “The Kid Who Would Be King” is coming at a right time; especially if the recent violence among youths is to be curtailed. A lot of moral lessons could be drawn from this movie and one would expect nothing less from Joe Cornish. While there are a few excesses in the movie, it was more of a success.